Are There Different Types of Custom Procedure Trays? Traditional custom procedure trays may just be good but surgical trays with stands may be better especially if you’re going to operate in a position that suits it best. Unless you’re operating on the ground, a stand will always come in handy whenever you’re standing in an actual operating room. 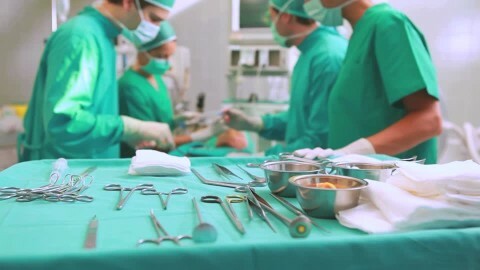 Single – use instruments are mostly used outside the operating room. If you’re going to working in the field, it’s crucial to carry medical kits that you can easily dispose of. Carrying a single – use custom procedure tray on the go can turn out to be a wise decision since we can never predict where and when accidents are going to happen. It’s better to always be prepared well. It’s important that you choose the right custom procedure trays as well as the right instruments for any given procedure. It might be challenging to determine how many custom trays you may need to be prepared for a surgery long before you begin. Similarly, it’s not easy to tell how many trays you’re going to use at any given time. Therefore, you need to have many trays that are not only strong but also durable. Such sturdiness will go a long way in ensuring that your pile of custom trays is safe and sound before any given procedure. Strong custom trays will also protect the surgical instruments inside from any contamination or debris that might compromise a procedure. A custom tray of minor tools can always turn out to be useful and convenient when the need to use it arises. Other than the fact that custom trays carry basic medical kits, they’re also very useful when the time for immediate medical attention comes; whether major or minor. During such scenarios, you’re guaranteed of possessing a set of sterile surgical instruments that are safe to use. Using a perforated custom tray may be useful in two ways; First, it allows air to freely circulate in the tray. Second, the perforations allow for fluids or drainage to exit and fall out of the tray. No one likes using a wet surgical instrument, so with the perforations, you will have a place for the cleaning solution and water to run to once you clean the surgical equipment. These merits can be considered as the “icing on the cake” for a custom tray given that there is the convenience of having instantly accessible equipment. It is worth noting that you should always choose the right custom tray and medical tools to use for any given operation. It’s also important to mention that while preparing for a procedure at an ideal location such as a hospital setting, you might also be forced to deal with a situation that occurs anywhere and was not planned for. Nevertheless, all the types of custom trays mentioned above are useful irrespective of the location they’re used since they serve the same purpose. Have you ever imagined how hectic medical procedures would be like today without custom surgical trays? Too long operations and confusions among other issues would be the case of the day. It could be chaotic in surgery rooms. Since the incorporation of custom surgical trays in the operation rooms, medical facilities have appreciated their contributions in health care. Their use has improved efficiency in medical services. Custom trays have enhanced professionalism especially among the clinicians. Custom procedure trays have significantly improved operational efficiency and have tremendously impacted on both major and minor procedures in theatres. Some of the efficiencies custom surgical trays provide include the following. Custom trays bundle the work of many into one. They help cut the time needed to prepare for the operation. Besides, clean up time is minimized which directly translates to successful operations in theatres. Custom trays also increase the number of successful operations your theatre can do directing translating to improved profits. Custom trays enhance a reduction of the number of trays to be used during the procedure. For this reason, the critical minutes spend during swapping of trays is minimized. It, therefore, ensures things do not get messed up and reduce disruptions in the theatre. This, in turn, increases the credibility of your operation room. With the introduction for custom operation trays, the traditional approach used for stocking a theatre has been rendered useless. With them, you can easily stock what you need for a more extended period plus some general use kits that might be required for emergencies. People always want to associate with something that provides quality. When a medical facility has a well-organized custom tray, more patients keep coming in to seek the quality services. This, of course, translates to increased income for the medical facility. The revenue also helps the facility to improve their services by the purchase of other medical equipment. An increase in income is directly proportional to the increase of staff who will be needed to provide quality services to the increasing patient base. Custom procedure trays being used safeguards a patient’s safety regarding contaminations. 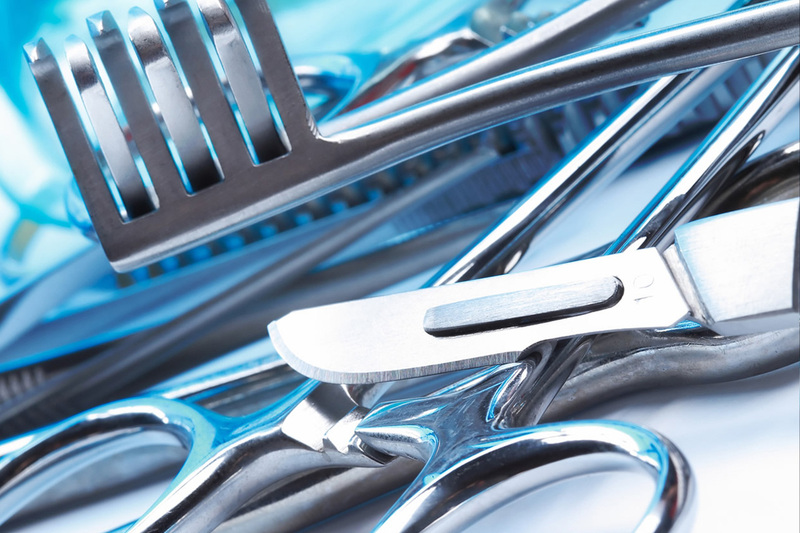 Sterilization can be easily used for cleaning custom trays. This does not need any skills thus promoting proper maintenance of the surgical tools and equipment. In cases where some tools experience some problems, it is easy to trace them back to the vendor. This is enhanced with the components used in the custom procedure trays can be easily located using the vendor’s batch number. Custom trays have contributed in safeguarding our environment since there is reduced packaging of its components and the fact that sterilization is also done. This not only minimizes costs but also enhances proper usage of the CPT. Custom procedure trays have become a favorite tool for many medical professionals. They boost efficiency, improved service delivery, and also have enhanced safeguarding of patients’ lives. With the changing medical environments, it is acceptable for a medical facility to adopt the use of custom trays for more efficient, professional and successful operations. When Does a Custom Medical Procedure Tray Expire and What Determines the Expiration Date? Custom medical trays are an exceptional product that make the flow of a medical office or facility so much more efficient and successful. The customization of the product allows for specific tools to be included in each kit; tailoring certain procedures to the needs of the medical professional using them. However, most people don’t consider that these custom trays actually have an expiration date and there are a number of factors that go into determining what this expiration date will be. Such determining factors are usually put into place by the Food and Drug Administration and followed by the company that is manufacturing the custom trays. The expiration of any product applies to the amount of time that a product is safe to use and will function how intended. If used after the expiration date is up, this can be a risk to the patient or consumer. When dealing with custom trays, the expiration date usually will be determined based on what exactly is in each tray. Certain items may last longer than others. For example, a tray with metal tools in it will last much longer than a tray that has something like a battery intended for a pacemaker. What Determines An Expiration Date? Over time, with the packaging or the items in the tray change their composition? This applies to viscosity, elasticity, appearance, strength, etc. Storage conditions may affect the product integrity and this is often listed on the exterior of the package as it applies to an expiration date. A custom medical procedure tray will expire based on ingredients that may be present that are known to break down over time. Also, does the packaging break down over time in a way that would compromise the safety of the tray? Medical procedure trays must stay sterile in order to be safe to use. Over time, this can change based on storage factors and the amount of time that passes. Sometimes preservatives are used and those have their own expiration date. Sometimes, special inspections need to be done periodically to ensure the sterile nature of the tray is in tact. When expiration is considered, will the tools or device included in the procedure tray be able to function after a certain point? If the expiration date reaches its full maturity, will the product become toxic or unsafe? Custom medical trays can be very simple or very elaborate with some trays dealing with minor conditions while others are used for more complex surgical procedures and such. When the expiration date is set according to proper standards and a medical facility follows these guidelines, the tools in the custom trays will work how they were designed. While there are other factors that may go into a natural defect with a tray, shelf life or expiration dates generally mean the product will be structurally in tact when needed. Autoclaving refers to the process of sterilizing equipment and supplies with the use of high pressure usually saturated at 250°F (121°C) for around fifteen minutes. Steam is the sterilization agent that is used in autoclaving to kill microorganisms such as spores and bacteria found on custom procedure trays. By now you already know that all contaminated equipment and all infectious material or apparatus such as custom procedure trays should be decontaminated before being stored, discarded or washed. Autoclaving is the preferable method to go about all of the above. An autoclave sterilizer was invented by Charles Chamberland in 1879. Around that time of invention, doctors were in dire need of a more reliable sterilization technique than open flaming. Researchers also began to understand the benefits of sterile surgery. Advantages of an autoclave were soon evident and autoclaving became an essential part of every clinic and hospital. An autoclave is utilized for sterilization of pharmaceutical items, laboratory instruments, and surgical equipment including custom procedure trays among other materials. Autoclaves can sterilize hollows, liquids, solids, and instruments of different sizes and shapes. Autoclaves vary in functionality, size, and shape. Typical autoclaves are similar to pressure cookers; both use the power of steam to destroy spores, germs, and bacteria that are resistant to powerful detergents and boiling water. An autoclave chamber usually sterilizes custom procedure trays among other laboratory or medical instruments through heating them above boiling point. Most clinics own tabletop autoclaves that are typically similar in size to microwave ovens while most hospitals utilize large autoclaves (also known as horizontal autoclaves). Large autoclaves can be used to process many custom procedure trays among other surgical instruments. This move is advantageous as it meets the ongoing demand for sterile custom procedure trays in emergency wards and operating rooms. Horizontal Autoclaves are usually located in the Central Sterile Services Department (CSSD). The process of autoclaving is very useful in the sterilization of medical waste before disposing in the waste stream. This method is mostly recommended than incineration because incinerators are inclined to raising health and environmental concerns. The administrative burden of controlling costs has been eased since the time spent on monitoring and ordering inventory has been cut down. It minimizes adjustments and departmental requisition of the inventory at any given time. The use of Custom procedure trays is deployed in one of the most cost-intensive areas of any medical facility. The high cost includes everything from pre-op to post-op procedures which may be directly depended on each other. The operation room may turn out to generate revenue contingent to how the medical facility is organized. The professionals working in this part of the hospital may achieve that through certain practices that save on costs such as using custom trays. A custom procedure tray contains a wide array of medical instruments assembled in accordance with the requirements of a particular session in the operating room. In simple terms, many packages are integrated to form a single package. The use of custom trays in operating rooms is therefore useful in optimizing processes throughout any health facility. Consequentially, custom trays simplify the entire material management process right from receiving the instruments to storing them. This means that there will be more money saved that could be used for other purposes including many other areas of the medical facility or even its services. The use of custom surgical trays has significantly improved service delivery in health facilities. Thereâ€™s need for all medical facilities among other facilities to have custom trays. 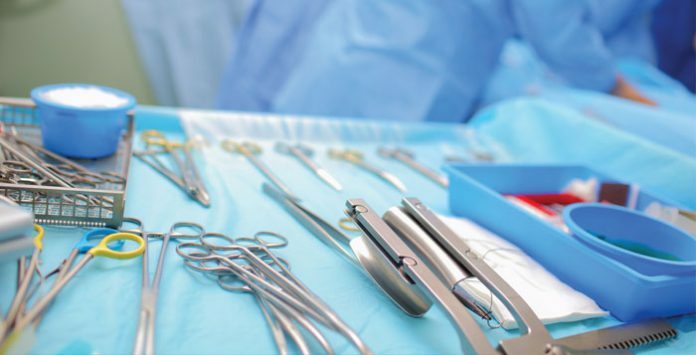 Custom procedure trays can help medical facilities to quickly respond to surgical procedures in due time without any mishaps. Moreover, health professionals recommend that all the procedures scripted in the custom procedure tray manual should be thoroughly adhered to. What is a Custom Surgical Tray? A custom procedure tray, whose abbreviation is CPT, is a collection of medical equipment created to provide disposable items which are used during surgery. They are usually designed and set up for your specific procedure needs. The contents of a custom procedure tray are packed together and delivered in a single sterile pack. The CPT mostly contains surgical blades, stitches, lesion dressing, heart catheters, surgical wipes, implants and surgical drapes. When you consider purchasing a custom procedure tray, it is highly advised to ensure that it saves money and it is thoroughly effective. This will elevate the efficiency of your operating room since it takes up less time. Also, your staff will be under minimum pressure. To add up on that, you will notice that your patient throughput increases. Do you want to offer best services to your patients? Every medic wants that; so, when buying a CPT make sure it can match your procedural needs to the highest quality standards. A good custom procedure tray presents the right component required for a surgical intervention in time and the right configuration. A good CPT contains many medical devices. You donâ€™t want to find yourself in an operating room, and there is a shortage of the devices you need to carry out a procedure. 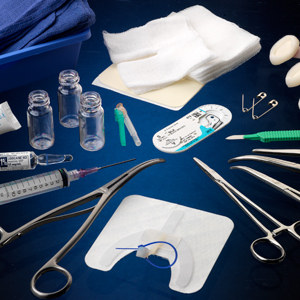 An extensive choice of surgical components specially selected for your clinical requirements should always be available. Every clinic has got unique surgical procedural needs. The tray you buy has to accommodate pack changes within weeks. This is due to outbreaks of different diseases which occur due to change of the climate and seasons. Quality certification is critical in competitive markets and medicine is one of them. The organization that you get your custom procedure tray should meet the statutory and regulatory requirements of the product. Your theatre staff will sometimes want to be relieved of other duties. To achieve this, your custom tray should contain fewer products to open. You will also find out that your product ordering and stock control processes are more streamlined. In medicine, proper hygiene is observed. Your custom procedure tray should be presented in an easy format. That ensures that there is reduced risk of contamination. If not properly sterilized there is a possibility that your medical team will get infected. Less packaging provides fewer items to dispose of. This is a good way to keep your environment clean. Reduction in the bags of waste used in your hospital can be cost-effective, time-saving and raises the caliber of care. Custom procedure Trays provide an assurance that there will be no changes made to your tray without your consent. Most modern hospitals are embracing the idea of owning custom procedure trays. That is because they are more cost-effective even in cases where there are less medical personnel. When you adopt one in your health facility, you improve the service offered. Your theatre staff will not experience stress anymore since they will spend less time at work. The custom trays you purchase for your hospital should be purpose-fit for the procedures you carry out there. That way your staff will do their job more efficiently. If necessary, you can add specialized devices added to your kits such as implants and cardiac catheters. There are some labs and medical facilities that will set each item of separately and others who use custom trays. Of the two options, using custom trays has more benefits. Custom trays make it possible for practitioners to carry out procedures faster. According to medical institutions who have switched to using custom trays, they have been able to increase their daily procedures by 30 to 40 percent. Custom trays also save money on the administrative side. Custom trays save time on keeping tabs on all of the inventory and ordering what is needed. Finally, custom trays will save money on deliveries. When custom trays are ordered, it can greatly reduce the number of deliveries necessary. Custom trays are the best option because all of the right equipment will be in the right place. There is nothing worse than a medical professional needing an instrument to find that it isn’t there. When medical facilities create their own trays, it is not uncommon for an item to be missing occasionally due to human error. This wouldn’t be an issue with custom trays. Also, because all of the instruments would be all in one pack, it would make it easier to trace the batch. Custom trays are environmentally friendly. The amount of waste generated by custom trays is 50 percent less than other tray set-ups. It doesn’t take long at all to set up a procedure when you are using a custom tray. It also doesn’t take much time to clean up after. This saves the medical facility a great deal of time both before and after the procedures. Thanks to this extra time, more patients can be seen and they can get in and out of the procedure room faster. When a medical facility works at its maximum efficiency, it will result in the facility making more money. Setting up procedure trays is less expensive, more efficient, and more environmentally friendly than setting up trays before each procedure. Also, there is no risk of forgetting anything before the procedure, which can delay the procedure. Considering all of the benefits of custom trays, more and more medical facilities are using them today. Custom Procedure Trays, or CPTs, are becoming increasingly popular in medical facilities across the country. These trays include all the necessary tools the surgeon may need for a specific type of medical procedure. Since these trays are custom-made, each medical center can determine exactly what medical tools to include on the tray and how to specifically place these items on the trays to best meet the needs of the surgeon. Medical facilities receive a wide range of benefit from using these CPT custom trays, such as cost and time efficiency. However, it is important to also note the numerous benefits of CPT surgical trays for patients. Here’s a look at the top four benefits. CPT custom trays can save both prep and procedural time for the patient. Since these tools are prepared ahead of time, the medical team will not have to waste valuable time on surgery day to ensure these vital tools are in place. Instead, it is as easy as grabbing the right tray and placing it in the operating room. These custom trays are all designed the exact same way, which will help to save the surgeon time during the operation because he will know exactly where each tool he needs is located on the tray. Operating rooms can be extremely chaotic and stressful. Unfortunately, this type of environment can increase the risk of human error. Even the smallest mistake, like a missing medical instrument, can literally mean the difference between life and death. This can be a very scary process for the patient. CPT custom surgical trays can give the patient peace of mind knowing that all the tools needed for the surgery will be in one customized location. These custom trays also can help to reduce the risk of human error. As any medical professional can tell you, sterilization is key when it comes to a successful surgery. This is because a patient’s immune system is often lower right after surgery, which means the patient is even more susceptible to infection. 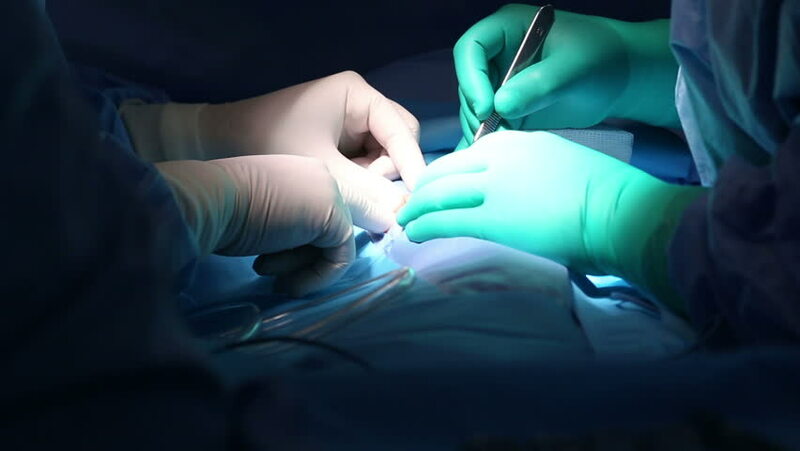 Even the smallest bacteria can cause major problems both during and after surgery. Surgical custom trays help to lower the risk of infection by ensuring that every single medical tool used during the surgery is sterile. Each tool on the tray is professionally sterilized before placing it. The tray is then securely wrapped to eliminate the risk of de-sterilization over time. Another major benefit is the cost savings CPT custom trays provide. This reduction of costs to the medical facility is then passed down to the patient to help keep their medical costs as low as possible. The truth is that many patients may not even realize the great benefits CPT custom trays provide. However, they will know the quality of the services provided by the medical team and CPT trays will help to improve the quality of services your team can provide. Learn more about how CPT custom trays can benefit not just your medical practice, but your patients as well. Custom surgical trays are a great investment for a number of reasons. They’re easier for staff to use, they save you time and money, they can be designed to fit your specific needs, and they can even save lives in emergencies. 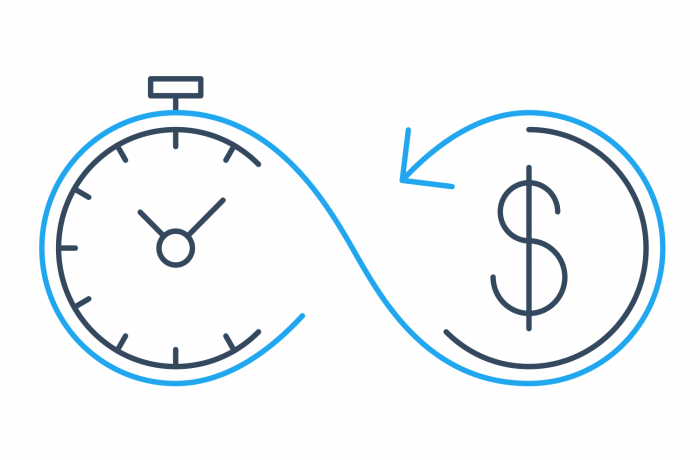 With custom trays, you’ll avoid the hidden costs of on-site preparation. Custom trays are prepared off-site, in a professional facility, without any lost time for your medical practice. This type of preparation typically requires hours of sterilization and arrangement. By purchasing custom trays, you won’t lose time or money. And purchasing these trays in bulk will provide you with additional discounts. Additionally, your custom trays are immediately available for use whenever you need them. Since they come pre-sterilized, there is no prep time for you. If your medical facility has a sterilization process, some custom trays reused, meaning you’ll save even more money. Since all surgical practices are not the same, custom trays can be directly commissioned for your practice. The word “custom” implies personalization, which is something you need in your operating room. You may specialize in a procedure which isn’t offered anywhere else. Custom trays can be made to fit the individual idiosyncrasies a surgeon may have. Once your order has been made, the company will create bulk shipments of trays for you. This means you will always have a convenient supply of equipment on hand. Human error happens. Error is more likely to occur when you prepare trays on-site. Custom tray providers will rarely have errors in delivery. If there are mistakes, providers will replace the trays with the right ones without any additional cost. Custom trays can help you save more lives. Having conveniently-arranged operation equipment readily available means your staff won’t have to spend time preparing procedure trays. If your staff loses time prepping trays, lives can hang in the balance. Thankfully, customized procedure trays save your staff that time. Customized trays not only save you time and money, but they can also save lives. These trays will increase efficiency, as your chosen sterilized instruments are packed into safe containers that will stay clean and intact until they are needed. Because they are customized, your facility gets exactly what it needs for its procedures. They are convenient and beneficial for a variety of medical practices. Customizing your own medical trays can be more cost-effective than buying standard items. Order customized trays from a provider with a responsible reputation and you’ll enjoy wonderful customer service, quality control and bulk savings. As a surgeon, performing a surgery requires adequate preparation. During the different surgeries, surgical trays play crucial roles in determining the success of the procedure. That being said, custom surgical trays come into the picture especially in surgeries where time is precious and any wasted minute could spell a loss of life. Compared to non-custom surgical trays, the custom ones are always handy for saving time. Be it in their design, type, or usage, custom trays are every surgeon’s go-to option for speedy operations in trying to save lives. Read on to find out how you can save time when performing a surgery with a custom tray. You can as well refer to these trays as on-the-go kits. When tasked with a quick surgery with limited preparation time, opting for a custom tray that comes with all the necessary equipment you need can be life-saving. You will be ready in no time. In the process of choosing disposable custom trays, one has to foot the costs they attract. Nevertheless, the cost will be worth it as a speedy can be the difference between life and death. A custom surgical tray is more likely to consider ease of sterilization in its design compared to non-custom options. Keeping that in mind means the former should always be your pick for operations that must happen fast. The tray will allow for a quick and straightforward sterilization to save as much time as possible. When performing a surgery in the operating room, you will most likely be standing. As such, a custom tray with built-in stands will help you save time when reaching for tools. In adjusting the height of the stands, it will be easy to ensure the equipment are within arm’s length hence speeding your steps during the procedure. Given the wide range of trays available, the custom options that are stable should be your preferred choice. Such strong trays will allow you to stack as many as necessary without breaking any tool. Having many trays readily available will ensure no time-wasting in looking for additional ones if the surgery ends up taking many hours. Besides allowing fast sterilization, custom trays have another useful feature -perforations- that goes a long way in saving important time. The perforations allow air flow for proper aeration for the packed tools. At the same time, perforations will be handy to allow fluids to drain away. You will also find it easy to clean your surgical tools on such trays since water and the cleaning agent will run through the holes. It is clear that custom trays are ideal as a surgeon when you want to save time in an operation. You can easily find custom surgery trays whose dimensions and weight are well thought out and help in consolidating time in any surgery. In most surgeries, time is an important factor. This means you can easily overlook the cost of acquiring custom trays because of their time-saving aspect. After all, it is through life that one can make money.